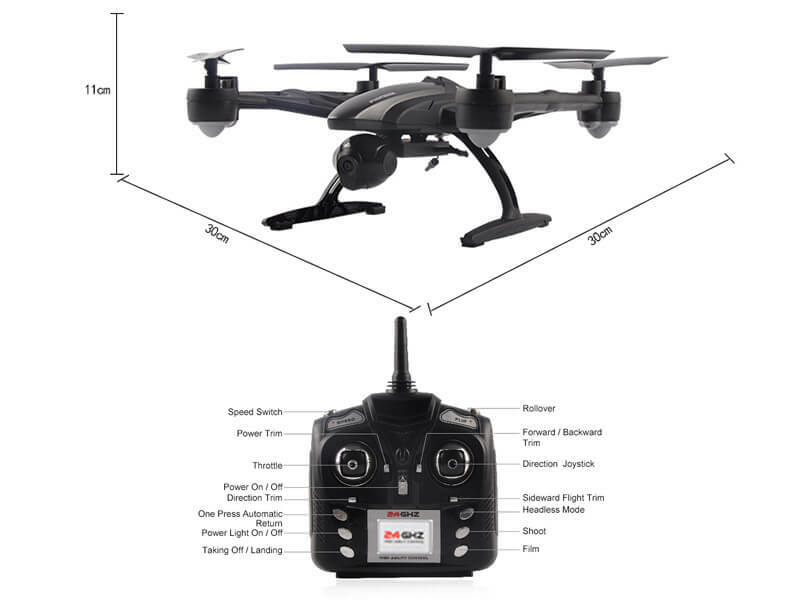 Although it might look like a cheaper version of the Yuneec Q500, the JXD 509W Quadcopter is not to be ruled out as a poor copy. Being in the under-100$ category, this toy-grade quad-copter has some features that place it in the top 5 drones in this price range. 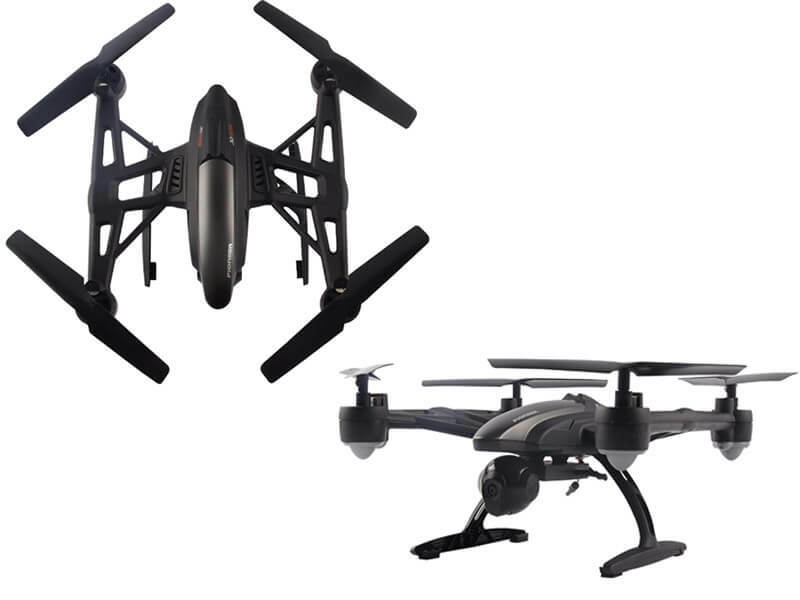 One of its best features that make it able to be considered an advanced technology toy-grade quadcopter is the ALTITUDE HOLD, which is present in very few products alike. Having a built-in barometer that keeps track on the air pressure, it is able to maintain a certain altitude which makes it a great device for steady shots. To make things even more exciting the whole configuration of the throttle stick has been revised, it self-centring at 50% where altitude hold is enabled. The flying experience is also enhanced by the HEADLESS feature which makes it absolutely irrelevant to worry about where the head is facing towards. 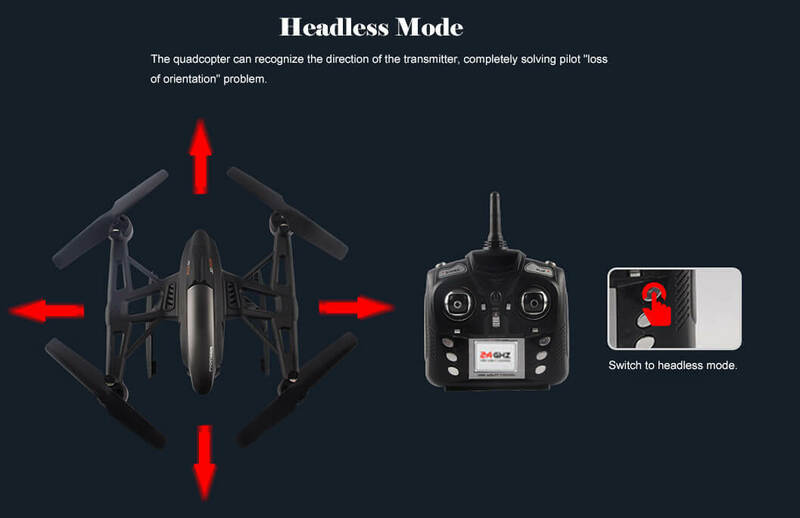 When headless mode is turned on, the drone will fly in any direction you order it relative to your transmitter’s position, irrespective of where its front is facing. 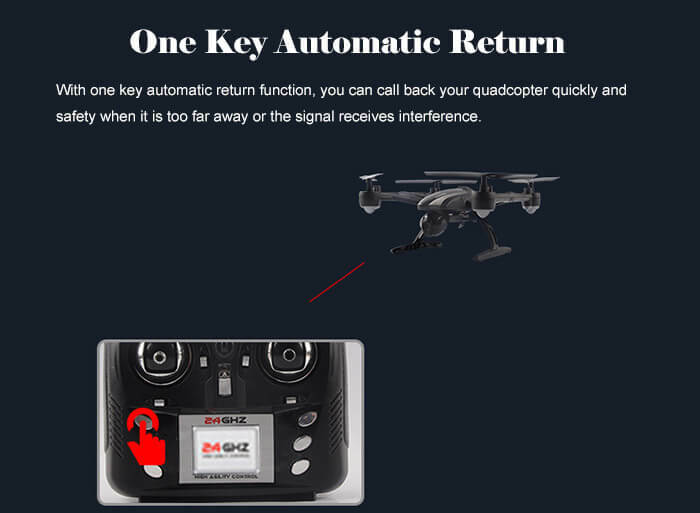 The ONE-KEY RETURN feature is also helpful but keep in mind that having no GPS included, it will not head directly back to the place that it was launched from but if it was facing north when it was launched, after activating the key it will go southwards. The drone also features an AUTOMATIC LANDING feature which lands it automatically when the battery is running low so this way you avoid it just crashing to the ground due to a lack of battery. You have the possibility of controlling it using the actual controller or your own smartphone or tablet through the app Exploration UFO which may face you with some signal loss, so might want to keep the remote controller near-by just in case. The Wi-Fi control feature is a useful one but it only works within a range of 100 m, a reasonable range for quad-copters its type. The drone also features three speed modes: low, medium and high, the low one being suitable for taking photos or filming. The 509W features an AUTO-FLIP function which needs a bit of adjusting, it need about 2 feet above for it to do the flip after it rises above the ground and its moves seem a little bit shaky and unsecure. A great feature is the highly stable flight performance that decreases the risk of shaky videos or photos considering the fact that the camera is already not-that-advanced being only 0.3 MP. The camera also has a narrow field-of-view, although it being a great way to reduce distortion this seems just a bit too narrow. It does feature Wi-Fi FPV accessed through the app mentioned earlier, and videos and photos will be stored on your device because it does not allow any king of micro SD cards. The JXD 509W is by far one of the best drones of its kind, its’ most powerful features being the altitude hold along with the ability to take stable aerial videos. 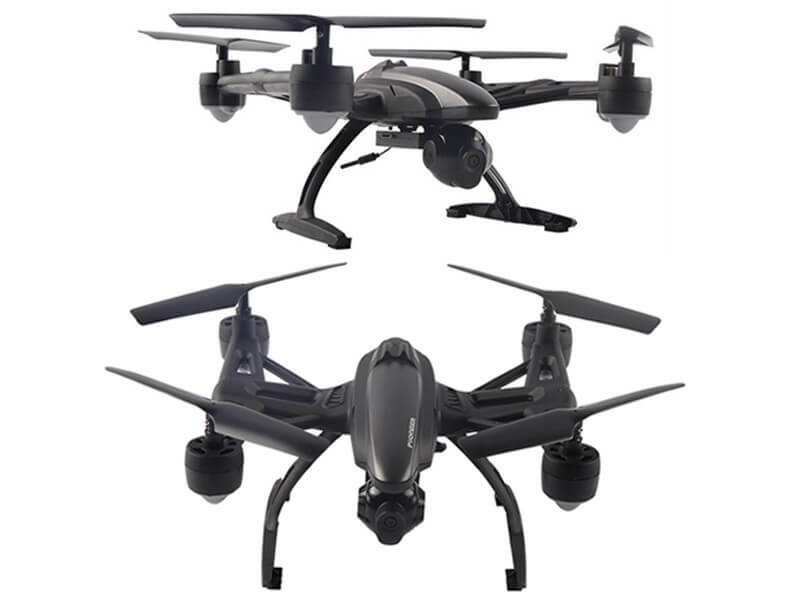 It is way cheaper than the Phantom3 or the Yuneec Q500 that it resembles but with a cooler design, it being all black with blue and white LEDs on the sides. It is also made out of ABS plastic which makes it bendable and not easily-breakable in case it crashes. Overall a great product at a very affordable price!